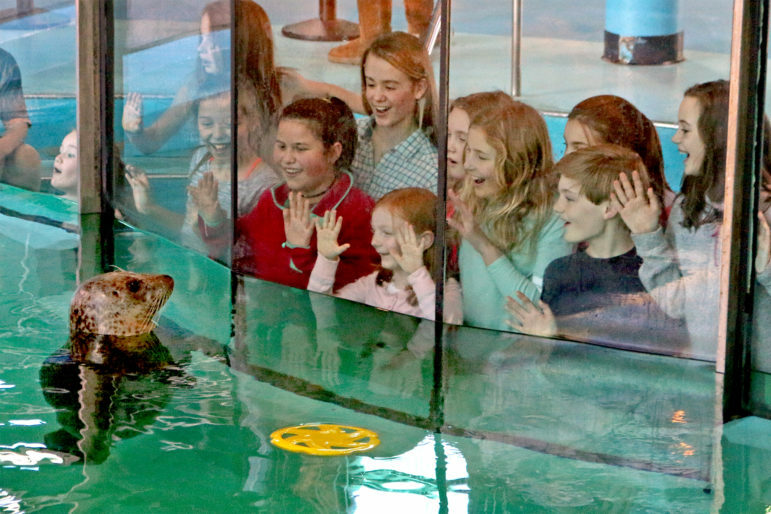 The Maritime Aquarium at Norwalk announced Wednesday that it again has received a prestigious seal of approval from the organization that sets the top standards for animal care and visitor safety at zoos and aquariums. The Association of Zoos & Aquariums (AZA) granted accreditation to the Aquarium for another five years during a meeting this past weekend in Jacksonville, Fla.
“Only the very best zoos and aquariums can meet the ‘gold standards’ set for accreditation by the Association of Zoos and Aquariums,” said AZA President and CEO Dan Ashe. Of the approximately 2,800 animal exhibitors in North America licensed by the U.S. Department of Agriculture, only 230 — or 8 percent — are currently accredited by the AZA. “It is truly an honor to be recognized by AZA for the hard work and dedication this team shows every day while caring for animals and our guests” said Dr. Brian Davis, president of the Maritime Aquarium. The AZA requires zoos and aquariums to successfully complete a rigorous accreditation process every five years in order to be members of the Association. The Maritime Aquarium has been an accredited AZA member since 2013. To again receive accreditation, the Aquarium recently underwent a thorough facility and operational evaluation to ensure it meets — and will continue to meet — ever-rising standards for animal care, veterinary programs, conservation, education and safety. The process included a detailed 600-page application and a meticulous on-site inspection by a team of trained zoo and aquarium professionals. The inspecting team observed all aspects of the Aquarium’s operation, including animal care; aquarist training; safety for visitors, staff and animals; educational programs; conservation efforts; veterinary programs; financial stability; risk management; and visitor services. Aquarium officials also were interviewed at a formal hearing of AZA’s independent Accreditation Commission. “Continued accreditation gives us exciting momentum as we approach our 30th anniversary this summer, and confirms that we continue to excel as an exceptional resource that staff, our guests and this community can celebrate,” Davis said. Dr. Davis is a member of the Board of Directors for AZA. Aside from national recognition for high standards and procedures, AZA accreditation presents other benefits to The Maritime Aquarium. These include: tools that facilitate the potential exchange of animals between accredited institutions; access to extensive conservation and animal-husbandry resources that can benefit animal care and education programs; shared expertise between staff of accredited facilities; and discounted cooperative purchasing programs. Plus, AZA accreditation assures Maritime Aquarium guests that they are supporting an institution dedicated to providing excellent care for animals, a great experience for guests, and a better future for all living things. 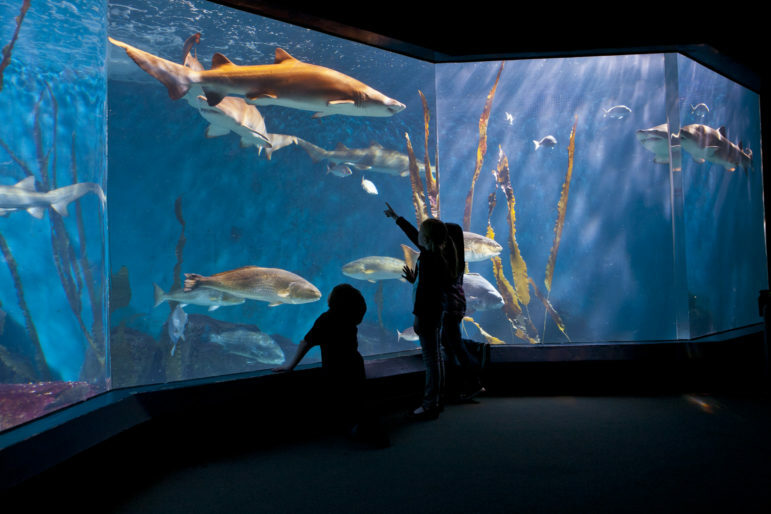 Connecticut has two other AZA-accredited attractions: Connecticut’s Beardsley Zoo in Bridgeport and Mystic Aquarium. Aquarium denizens appreciate the seal of approval. Now in its 30th year, The Maritime Aquarium is a not-for-profit organization whose mission is to educate visitors about – and to create stewards for – Long Island Sound and the global environment. TripAdvisor.com reviewers rate The Maritime Aquarium as one of the Top 20 aquariums in the U.S. and No. 1 in New England. Founded in 1924, the Association of Zoos and Aquariums is a nonprofit organization dedicated to the advancement of zoos and aquariums in the areas of conservation, animal welfare, education, science and recreation. AZA is the accrediting body for the top zoos and aquariums in the United States and eight other countries. Look for the AZA accreditation logo whenever you visit a zoo or aquarium as your assurance that you are supporting a facility dedicated to providing excellent care for animals, a great experience for you, and a better future for all living things.